« What makes a great latte? Splashes, sea views and quality time with family…. My brother and sister-in-law have been so incredible with their care and attention during my stay in Durban. While hubby has been working they have fetched, carried and fed me – perhaps too much of the last! I got the opportunity to have a brother and sister lunch which was really special because living continents apart we don’t have much of. 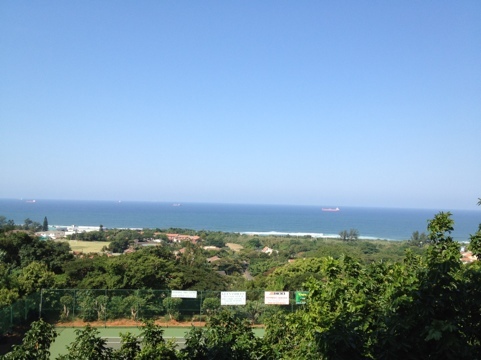 He took me to a lovely casual restaurant on the hills overlooking Durban North – Splashes. The food was wonderful – I had a flatbread made in the woodburning oven with avocado, chicken, some greens and a mild sweet chilli sauce – yum yum. More important than the food or amazing views was time spent with family – priceless!